I’m so excited to share this movie review! I watched Tracks last evening. Found on Netflix. 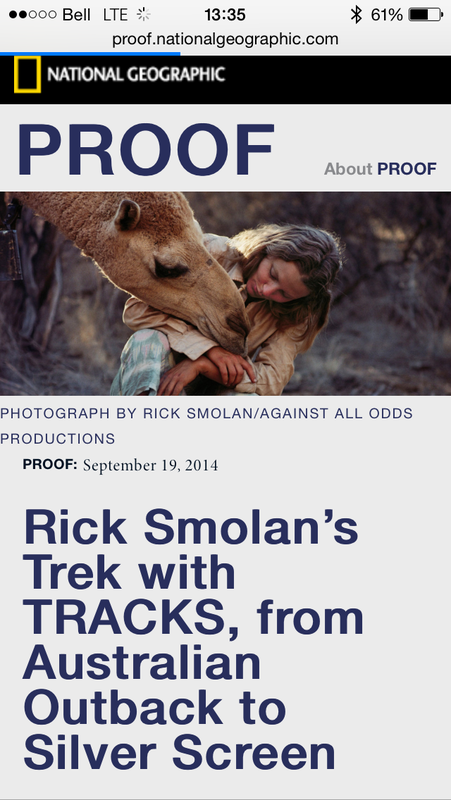 It’s based on a true life event and book by Robyn Davidson. She journeyed across the desert to the ocean with camels and just herself, it lasted 1700 miles and hundreds of days. It was fantastic, the storyline itself was amazing, the fact it’s true is almost unbelievable. I’ve since downloaded the book to read. Robyn Davidson’s adventures in the Australian Desert was inspiring and says a lot about basic human needs and desires. The story is filled with girl power. I laughed and cried (Well blubbered really). Worth seeing for sure! !